The Pennsylvania Department of Environmental Protection (DEP) released its annual oil and gas report this week, and it is chock full of great news for the Commonwealth. Not only is production skyrocketing despite a decrease in new shale well permits, the agency is finding fewer violations than in years past, even with conducting more inspections than ever. Both are a testament to the improvements in technology and operations for Pennsylvania’s oil and gas industry. 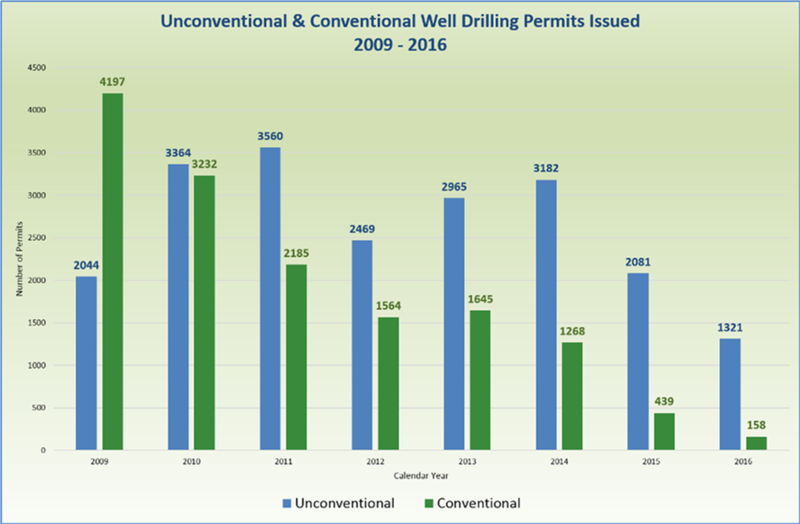 DEP’s report shows that the number of unconventional well permits decreased 63 percent in 2016 from the height of permitting in 2011 (from 3,560 to 1,321). It also showed that Washington and Green counties continue to lead not only the southwestern part of the state, but Pennsylvania as a whole, in new wells, while Susquehanna and Tioga counties saw the most new development in the northeast in 2016. 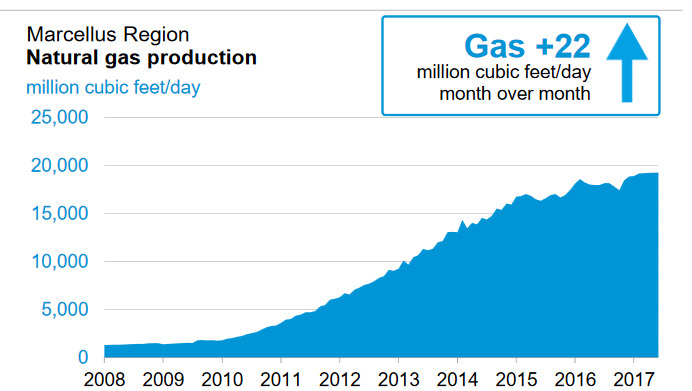 To give some perspective on this, at the height of permitting and new wells in 2011, Pennsylvania produced roughly 1.1 TCF of natural gas, or 378.9 percent less natural gas than 2016. This is occurring for a couple reasons. 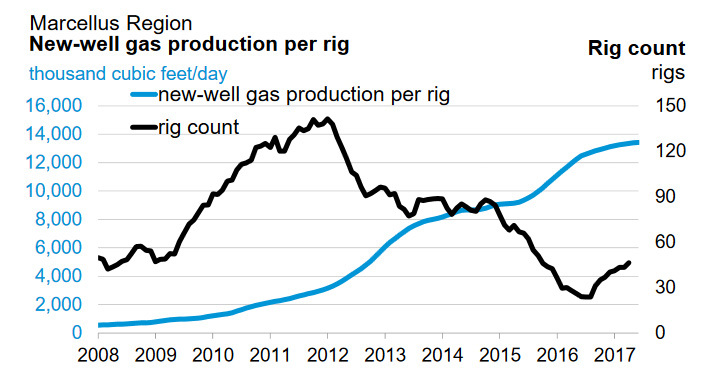 Not only are well sites becoming more efficient and housing more wells on a single pad to decrease environmental impacts, companies have also continuously extended the length of the laterals of new wells over the last few years. This means that a single well can now produce more gas than ever before. “Our team has now drilled the longest Marcellus lateral in Pennsylvania and three of the top four longest laterals in the entire basin. In the first quarter, we drilled three laterals over 15,000 feet and seven laterals over 10,000 feet. We’re achieving a 67% increase in daily lateral footage drilled versus a year ago. In fact, EIA’s most recent Drilling Productivity Report shows the Marcellus is currently up 22 million cubic feet per day (mcf/d) month over month in 2017 when compared to 2016 and has seen rig counts increase as well. 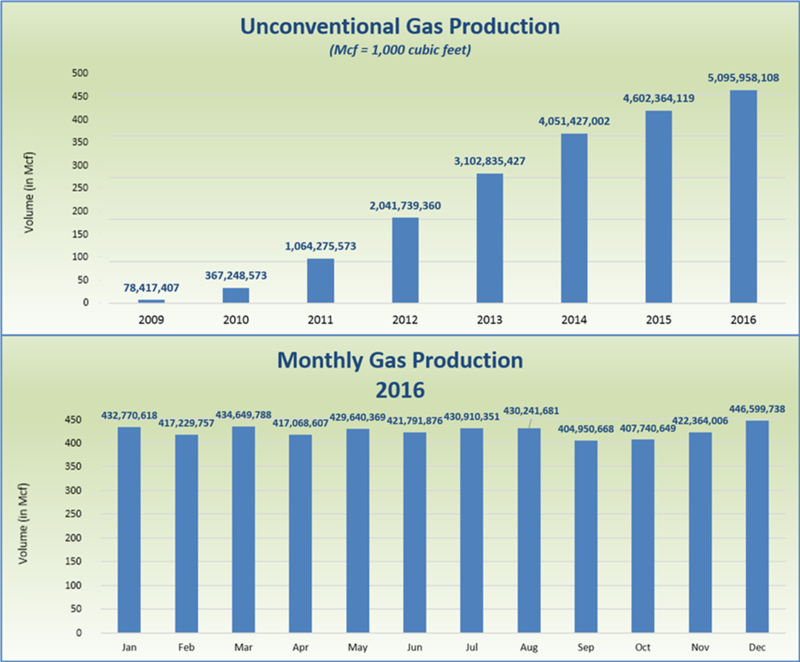 2016 was an awesome year for the Marcellus, and it looks like 2017 is shaping up to be even more spectacular!